The latest release from Tower of Power, Great American Soulbook finds them celebrating their 41st Anniversary with a stellar collection of covers. This is a great CD with no song here lacking. 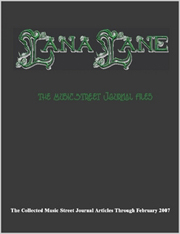 In fact, most stand in the neighborhood of “stellar” and there are some killer guest appearances, too. This one should please fans of Tower of Power, but anyone who likes music that merges classic R&B, jazz, soul and funk into a powerhouse musical montage would be well advised to get this CD ASAP. Let the funk fly! This is a powerhouse high-energy jam that’s got a great retro texture and some seriously hot funk. You don’t even need to look at the credits to realize this is a Stevie Wonder tune. His trademark songwriting is all over this. We get a killer saxophone solo that brings us for a time into a pretty jazzy zone. Carlton Banks would be pleased as Tom Jones makes an appearance on this cut. This soulful track is a classic piece of music and this is a fiery performance. I particularly like the guitar solo here. A more soulful, mellow groove, this one also feels a bit like Stevie Wonder. It’s less powerhouse a performance than the two openers, but still has a great texture and works very well. Joss Stone lends her vocal talents to this one. The introduction really feels a lot like an epic progressive rock arrangement. They take it to a tasty R&B duo for this classic hit, though. It’s another strong tune on a disc with no shortage of good material. This might be the definitive version of this classic cut. It’s soulful and evocative and just plain cool. A tribute to Mr. James Brown? Well, it’s hard to tell that the man isn’t in the house these days on this smoker. This might well be the best cut on show here. It’s just plain on fire – hah! Sam Moore guests on this cut. This number is more on the jazzy side and has a lot more old school sound. It’s good, but kind of pales in comparison to the last couple numbers. The vocal arrangement steals the show on this one. The musical stylings, while showing off a powerful horn section, are just a little pedestrian. Soulful and potent, this is a step up from the last couple pieces. There’s a killer piano solo on this track. Joss Stone is back on this song. They don’t break any molds here, but they put in an extremely inspired, soulful and emotional rendition. It’s a powerhouse. 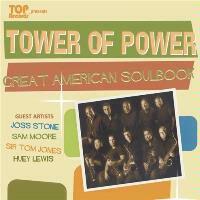 Huey Lewis isn’t the first guy you’d expect to show up on a Tower of Power CD – and yet, here he is. Basically a twelve bar blues, this has some killer soul stylings and at times feels a lot like something from James Brown. It’s a real screamer and a highlight of the disc. This is another powerhouse piece and great way to end in as high a style as they started it.